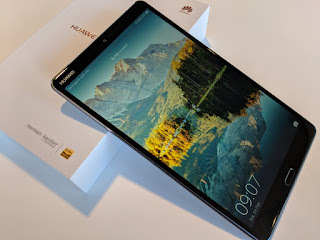 Huawei MediaPad M5 tablet was launched in February 2018. The tablet comes with a 8.40-inch touchscreen display with a resolution of 1600 pixels by 2560 pixels at a PPI of 280 pixels per inch. Kirin 960It comes with 4GB of RAM. The tablet packs 32MB of internal storage that can be expanded up to 256GB via a SD card card. As far as the cameras are concerned, the Huawei MediaPad M5 packs a 13-megapixel primary camera on the rear and a 8-megapixel front shooter for selfies. The Huawei MediaPad M5 runs Android 8.0 and is powered by a 5100mAh.